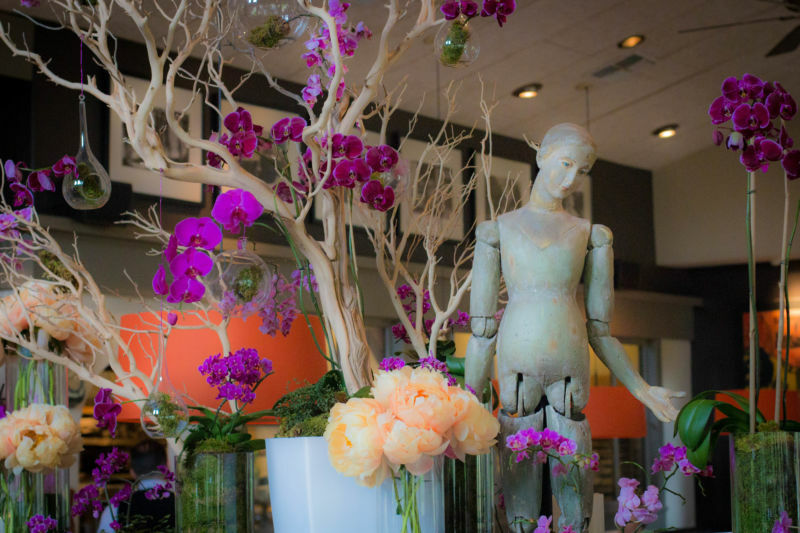 The restaurant is located right off the very busy Highway 29 between Napa and Yountville. It is strange to pull off the road into what looks like fields to get to the restaurant parking. You are greeted by a sculpture of a cork screw at the door. It’s a bit quirky and fun. When you enter, the restaurant has three areas to dine. One is a conservatory with large windows which they refer to as the enclosed terrace; it is great for a winter’s day when it is too cool to sit outside. 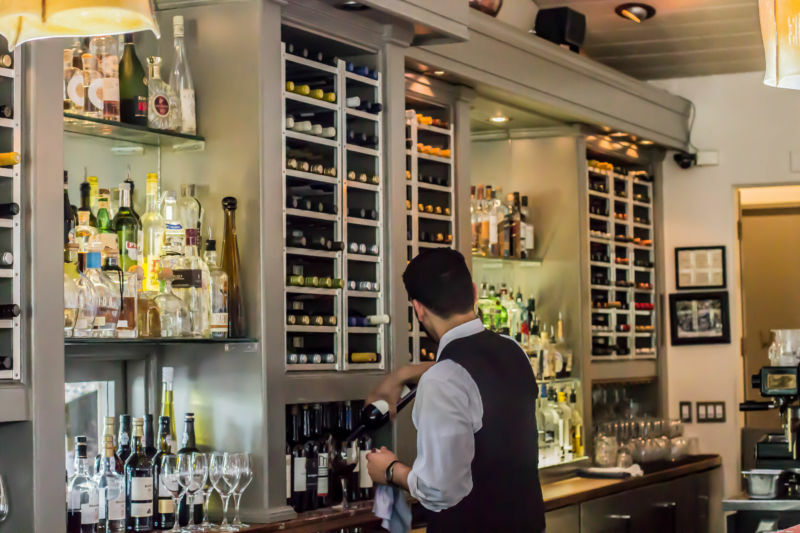 The main restaurant is a lovely big, airy space dominated on one side with a bar, another side opens to the kitchen, and the third side hosts a big fireplace. The third dining space, my personal favorite, is the patio. Here they have covered and shaded areas, patio heaters, and everything to keep you comfortable during your dining experience. It looks out onto their chef’s gardens and their water fountain sculpture; it is very relaxing. The service at Don Giovanni has always been excellent. The waiters are very knowledgeable and efficient. This is a busy place and it isn’t fast food, so that needs to be considered when dining there. I would highly recommend reservations at weekends and holidays to ensure a table. I have eaten a good selection of their menu offerings and all have been cooked beautifully with outstanding presentation. I have some things that are favorites and other things I have just liked. I can honestly say I have never had a bad meal there and I have eaten there many times. On this trip we started with two starters between the three of us. The carpaccio, which is thin slices of filet of beef topped with capers and Parmesan cheese and garnished with arugula. This was a gorgeous dish that really excited the taste buds. 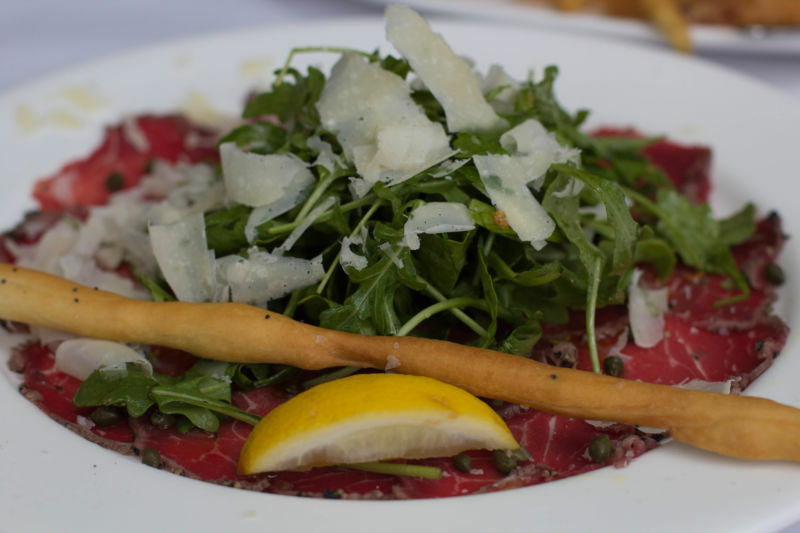 The spicy peppery arugula, paired with the sourness of the cheese and the capers, and with the soft, rich beef is an amazing combination. The Brit Comments: Raw beef with cheese is among my favorite appetizers; Don Giovanni prepares one of the best examples of that dish. They also serve it with lightly salted breadsticks that add a further texture to this mouth-watering starter. Our other starter was the fritto misto. 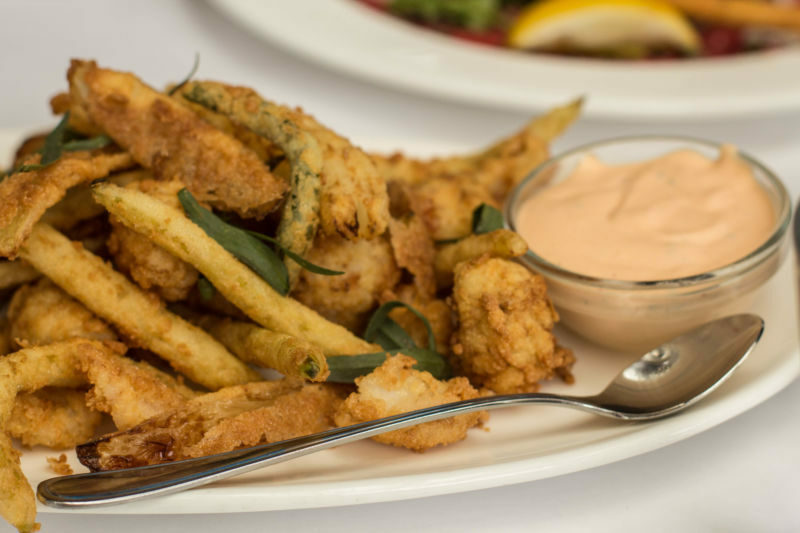 This dish was a combination of calamari, rock shrimp, green beans, onions, and fennel which were battered in a light tempura style batter and served with a spicy aioli. Light, crispy, perfect cook throughout the entire dish. The spicy bite to the aioli was the perfect complement. I loved all the flavors and textures. I would happily eat this any time. The Brit Comments: The importance of the aioli cannot be over-emphasized. The enjoyment of this dish was far greater than when we had last eaten fried calamari, because of the extra dimension added by the great sauce. 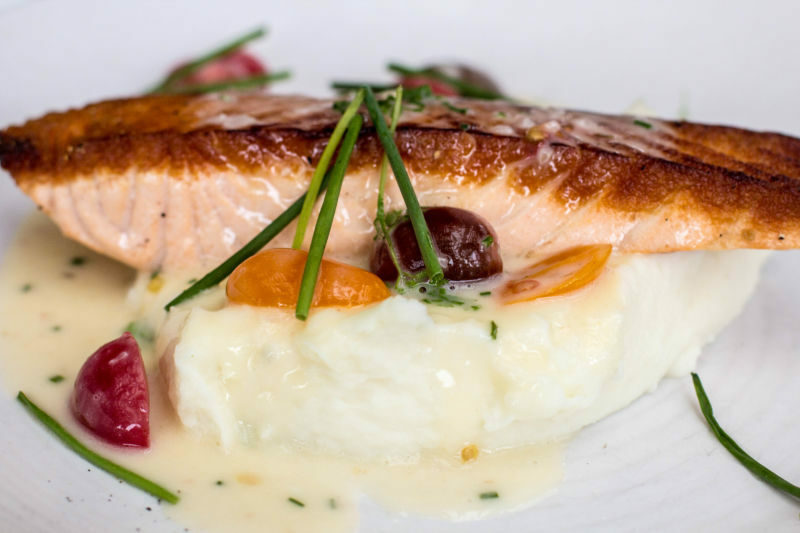 For my main course I ordered the seared salmon filet which was accompanied by buttermilk mashed potatoes and tomato chive butter. The salmon had a seared crunchy crust, but wasn’t overcooked in the center. Perfect! The buttermilk mashed potatoes were great with a ton of flavor. But the thing that really put it over the top were the beautiful tomatoes, chives, and butter. It added depth and richness without overwhelming the fish. 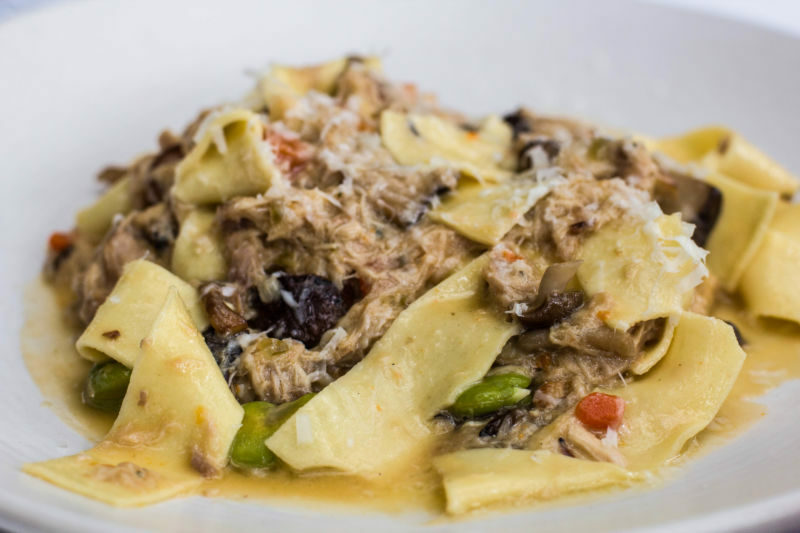 Our guest ordered the papardelle with a rabbit ragu. It was both subtle and interesting. I expected a stronger flavor. The pasta was melt in the mouth. Our guest had never had rabbit before, and she absolutely loved this dish. I have to agree with her; it was wonderful. 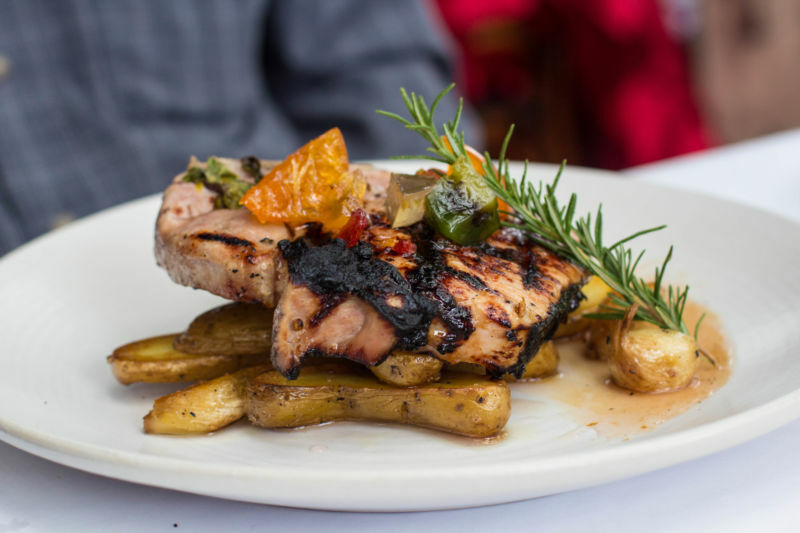 The Brit ordered the grilled Berkshire pork chop with mostarda di frutta, roasted potatoes, and garlic. This was our least favorite of the dishes we ate that day. The pork chop was cooked beautifully, but none of us cared for the almost candied fruits on the top of the pork. The roast potatoes and garlic were both great. We ended up scraping the fruits off the top and just eating the dish without. The Brit Comments: Least favourite in this context does not mean that it was not an excellent dish. The candied fruits were not to my liking at all, but the rest of the dish was very flavorful and I was more than happy with my choice. We were all so full by this time that dessert seemed too much, so we decided to share a bowl of their ice cream between the three of us. It was wonderful. 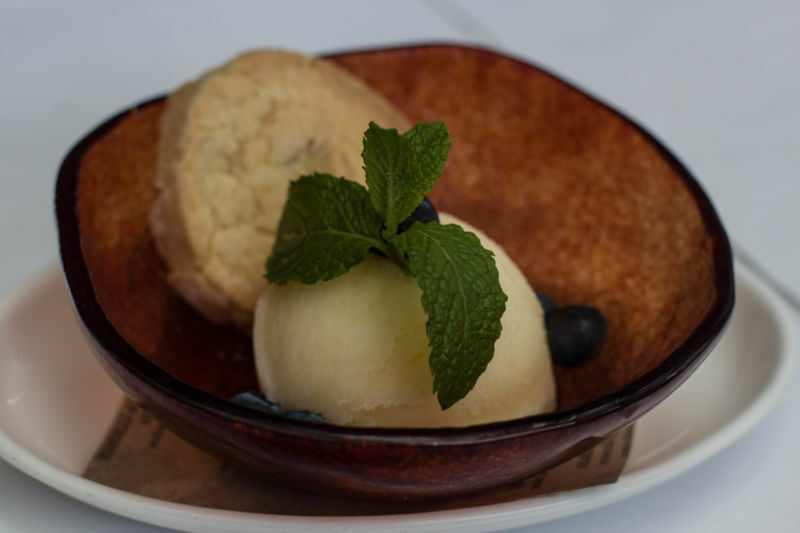 We chose the lemon sorbet with fresh blueberry, accompanied by a shortbread style cookie. The sorbet was light and not overwhelmingly sharp; the blueberries a perfect accompaniment. The shortbread cookie was really nice with butter and a bit of almond flavor to it. From the Mmm sounds from all around the table I would judge this a success. 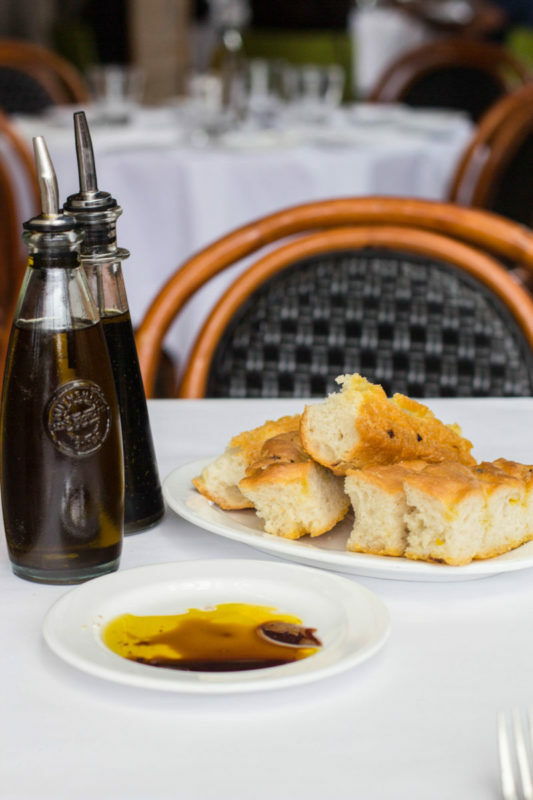 If you want a beautiful Italian upscale meal without it feeling overly stuffy, this is your place. The Brit Comments: It is also, for the quality, reasonably priced.